Mystery Writers of America Grandmaster Max Allan Collins brings his acclaimed and unforgettable Perdition saga to a breathtaking conclusion. Lake Tahoe, 1973. Michael Satariano, now middle-aged, is running a mob casino, his days of killing behind him. So when Godfather Sam Giancana orders him to eliminate a foe, Michael refuses. The hit goes down anyway…and Michael is left holding the bag, becoming the target for bloody retribution. To save his family, Michael agrees to testify in return for a new life in the Witness Protection Program. But nobody can save him from the mob’s wrath…and once again the son of the Angel of Death finds himself on the road, this time with his 16-year-old daughter…his life-long struggle for redemption at odds with his thirst for revenge. A high-seas adventure on an ammo ship facing racism, mutiny, typhoons, kamikaze pilots and murder during World War II. Legendary lawman Wyatt Earp straps on his six-shooter to battle a new breed of bad man in a new land -- rising gangster Al Capone and his machine-gun toting killers on the streets of New York City. Mystery Writers of America Grandmaster Max Allan Collins brings his acclaimed and unforgettable Perdition saga to a breathtaking conclusion. It's 1973, and Michael is on the road with his 16-yedar-old daughter, his life-long struggle for redemption at odds with his thirst for revenge. 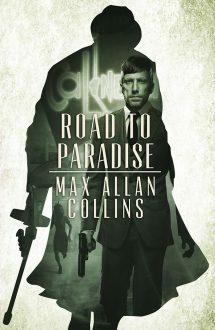 The brilliant sequel to Road to Perdition, Max Allan Collins’ masterpiece of crime fiction that became both a literary and cinematic classic. Michael O'Sullivan returns from WWII and infiltrates the mob to avenge his family from within.